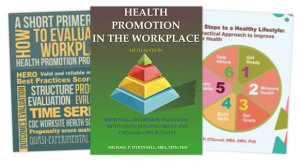 Our library offers three books authored by Michael P. O’Donnell, MBA, MPH, PhD that are important to developing and managing health promotion programs. PDF versions are free. 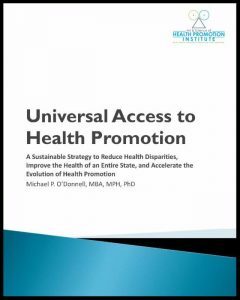 This white paper by Michael P. O’Donnell, MBA, MPH, PhD offers a vision of one possible future of the health promotion field. 1) How big should they be? 3) How should they be paid for? Smoking Prevalence, Savings, and Treatment (SmokingPaST) Framework is a tool designed to estimate the impact of investments in tobacco treatment programs on health and medical cost savings.